Trondheim’s Little Nothings back on the blog! Starting tomorrow we’ll have Lewis Trondheim‘s Little Nothings back on our blog, posting a new strip every Monday, Wednesday and Friday. 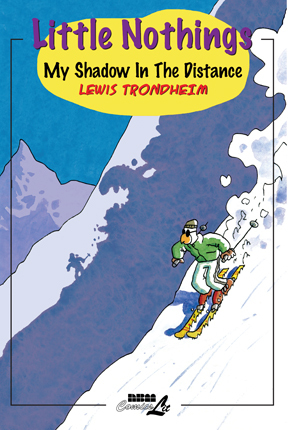 This is leading up to the next volume collection of his popular pithy one page webcomic observations: “My Shadow in the Distance.” And the 1st bunch of strips deal with his trip to the US… a little extra treat! This will be volume 4 of this series, shipping in July. So I’m happy to welcome Lewis back here. Don’t miss the strips, set up an rss.